What works for todayâ€™s consumer: Online shopping or visiting physical store? Post the development of technology in the last decade and internet penetration in every household, it is clearly evident that consumers have become totally reliant on online buying and selling of goods and services. 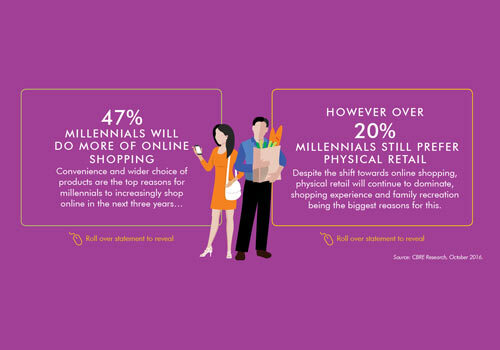 In spite of this transformation, many consumers still prefer visiting the physical store for their needs and purchases. Ecommerce is not just a word, but has become an industry in itself. The most popular form of Ecommerce is online shopping. Depending on the expected 33 percent of the global market in 2015 and over 37 percent by 2018, the Asia Pacific region is spearheading the Ecommerce industry. Moreover, China, because of its unprecedented economic boom, is not only driving supreme, but it is predicted to surpass US to become the largest Ecommerce market in the world. Another emerging Asian market in terms of Ecommerce is India. According to some recent statistics, retail ecommerce sales in India have grown enormously, from 2.3 billion U.S dollars in 2012 to an estimated 17.5 billion US dollars. As of 2015, the retail ecommerce sales as a percent of total retail sales in India are set to account for 0.9 percent of all retail sales in India. This figure is also predicted to grow in the near future, reaching 1.4 percent in 2018. If we talk about the users, as in 2015, majority of online users in India were male and same was the case with online shopping. In India, men accounted for almost two third of online shopping audiences. On the other hand, female online shoppers are estimated to account for 42 percent of all Indian e-tailing spending in 2020. Average annual ecommerce sales per digital buyer in India were 247 US dollars in 2014 and are estimated to reach 424 US dollars in 2020. 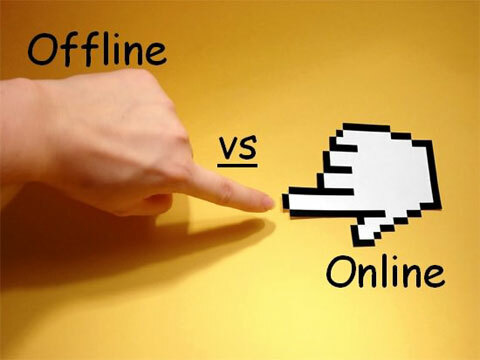 There has always been a debate and interesting observations on whether consumers prefer online or offline shopping. When we talk about millennials, most of them opt for shopping online, which may be because of reasons like, time crunch, convenience, availing discounts or simply habitual. Moreover, below given image clearly shows that 47% millennials do more of online shopping because it’s very convenient and 20% millennials still prefer physical retail as it provides a certain shopping experience. Shopping can be irresistible most of the times, but still there are many millennials who like to save their money for future encounters or emergencies. Having said this, still many millennials like to spend their savings on various products and services without any crunch. The below given image shows a comparison between today and next 3 years and what all activities will millennials undertake. It is very important for most of the retailers to accept the fact that consumers mostly take the online route for shopping. To tackle increasing competition and brand loyalty, retailers need to cement themselves in the online eco-system. 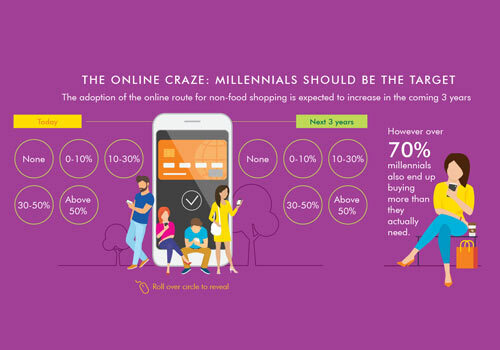 The below given image states that it is the millennials who should be targeted by the brands and that in the next 3 years the adoption of the online route for non food shopping is expected to increase. 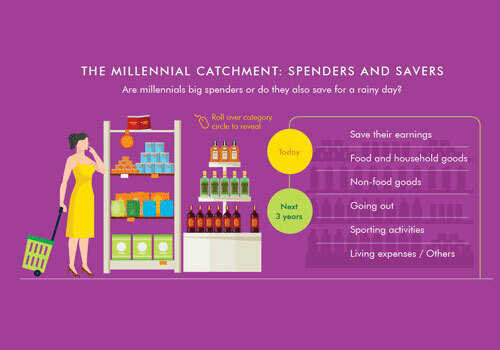 The image also shows that 70% millennials usually end up buying more than they actually need. Most of the millennials have become very fickle minded. As they have many options on platter, it is very easy for them to choice their options. If sitting home and ordering products or food gives millennials a sense of comfort, spending an outdoor day also serves as experience for them. 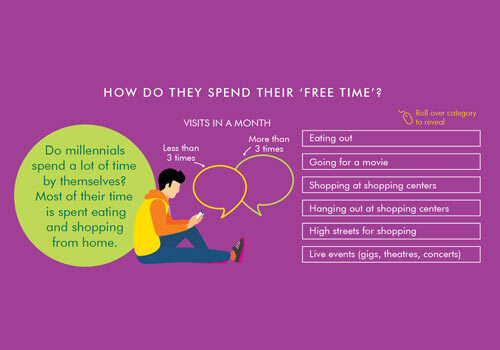 Below image shows that in a month, less than 3 times millennials spend their time eating and shopping from home and more than 3 times millennials eat out, go for movie, shop in shopping centres, window shop and attend live shows, gags. All said and done, millennials surely are sitting on the driving seat to accelerate the throttle of online and offline shopping. If we see the bigger picture, both offline and online shopping medium can co-exist in the market without hampering the sales and volumes of any brand. Trends shaping the Indian fashion industry!